Data-driven marketing, while a relatively new form of marketing, is here to stay. But not everyone is seeing its positive results yet. About41 percentof marketers surveyed last year by Direct Marketing Association and Winterberry Group said their organizations’ revenue increased to some degree thanks to data-driven marketing. Yet more than 50 percent of those surveyed said they saw no difference — and even worse, 11 percent actually saw decreases in revenue. Because data-driven marketing is still a growing industry, many traditional advertisers are still learning how to transition their reliance on TV and print ads to the digital world. But this shift into the digital sphere is so major that companies such as Google, AOL, and Acxiom have taken notice and started building up their capabilities to turn offline consumer data into measurable online metrics. So how can marketers struggling to see positive results from data-driven strategies make digital work to their advantage? One reason organizations have a hard time with data is that they’re overloaded: It’s tough to figure out which metrics are actually valuable. It’s expected that by 2020, customers, employees, and other users will generate about 35 zettabytes of data. Wading through that mass of information is nearly impossible if you don’t know what you’re measuring and looking for. Marketers who don’t master their understanding of data-driven strategies risk a steep drop in revenue, as well as missing opportunities to reach consumers. Millennials, for example, are less likely to be influenced by traditional advertising. In fact, only about1 percentof Millennials say ads influence their buying decisions. Understanding this type of consumer behavior is crucial when trying to engage with your audience, and the best way to reach that understanding is by studying data. If your organization is still relying on old-school marketing efforts while your competitors are fully immersed in cutting-edge data, it will be hard for you to keep up. But there’s still time to master data-driven marketing and develop an effective strategy. Vanity metrics like impressions or Facebook likes are irrelevant. Your KPIs should focus on the funnel itself and be aligned with overall business goals; that way, each one helps to propel your company forward. Make sure you’re measuring information that will help you form a clear idea of who your engaged audience is. Whether you’re measuring how many customers are new rather than returning, examining the growth of your margins, or observing the lifetime value of a client, use metrics that are helpful to every level of your company. Focusing on metrics that can’t be influenced by changes to your programs is a waste of time. It’s important to understand what you can measure and, more importantly, what you can change. If you want to increase customer satisfaction, for example, it won’t be effective to target your search marketing program. Familiarize yourself with every analytics, visualization, and business intelligence platform your company uses. You may have data to last a lifetime, but if that data shows that you’re targeting the wrong audience, it does you no good. If your company’s best customers are women between the ages of 30 and 39, but your digital campaigns are rendering strong engagement with men ages 18 to 24, something is wrong. Without the full story behind it, data alone isn’t worthwhile. Connect all analysis to the story behind the numbers. Use data-driven insights to fuel your programs and target the appropriate audience. That shift will also help increase your overall revenue. Gathering data is like a puzzle. You’ll have to pull data from various sources, some internal and others external, and then piece everything together to create new, more useful data. Determine where your current influx of data is coming from, then identify data points that can be married together. Work with a data onboarder like LiveRamp or Datalogix to help match your internal data sources with external ones; if those companies aren’t a good fit for your data needs, they can likely help you find a data partner that will be. The customer journey isn’t a simple one-touch exposure that results in a purchase or a download. Don’t focus on just the best-performing channels; instead, focus on the big picture. If you concentrate on just one area of your marketing platform, your entire marketing efforts will fail as the diminishing return curve falls off. Examine all touchpoints via which consumers interact with your business, whether they’re your digital ads, your website, or networking at a conference. Data-driven marketing is taking over the marketing world, and if you don’t jump on board now, you may get left behind. 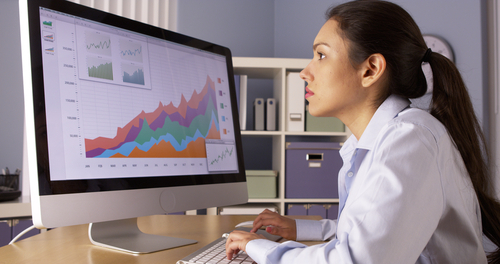 Take steps to ensure that your company is fueling all its efforts with meaningful data.